I have a love hate relationship with zBrush. On the one hand it has an amazing community producing fantastic work, and it’s the industry standard with a unique list of features. On the other hand the UI is an utter disaster, and basically relies on artists learning a vast set of obscure keyboard shortcuts… which is ok if you use it everyday… but if you forget something it can take hours to locate the right button. Pick the topo brush. Paint curves on the mesh to represent edge loops. Just click (and release ) on the object to start another curve. You can’t go back and edit the curves after you add another one. Drag the Brush and Stroke Tabs into the left panel for easy access while working. in Stroke > Curve play with Bend, snap, Lock start, and Lock End. To modify the curve size… Change the red brush size, then click the curve again. To Centre on the visible part of the mesh, unmasked region or current polygroup, click the white ring at the far end of the transpose line. 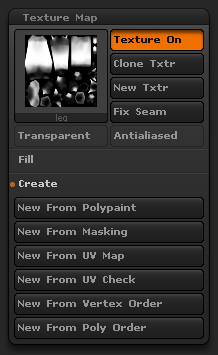 Go into the Preferences menu and press the “Init ZBrush” button. You can’t save textures from the texture map dialog (arg why would I want to do that ?!! ). In the texture map dialog. Click the Clone Texture button. The texture appears as the current texture for your brush in the left tool bar. S.Pivot defines the pivot based on the centre of the currently visible mesh. 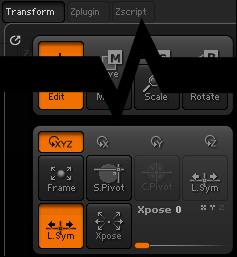 ctrl click and drag the transpose line to create a mask on the model. Tool > Displacement map > Intensity – set it to something usually under .1 but it varies. 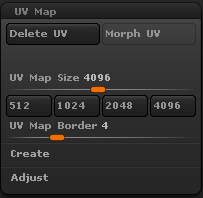 Tool > Displacement map> Apply DispMap. First of make the document size twice as big of your desired final render image. Then draw your model on canvas and go in edit mode ofc. Next step is making your document size half its current size. This will take care (more or less) of those jagged edges – some sort of AA. Since this is just basic stuff, i won’t explain all about lights – play with them and set them up the way you like it. One thing i would point out is how to take care of noise in your shadows and make them smoother. Again you can play with Shadow Curve and Lenght to change the look of your shadows. OK, once you take care of your light(s) and shadows it’s time to add some dof (if you want to). The quickest way to set this up is to use Preview render and Fog options. Now play with Depth1 (‘front’) and Depth2 (‘back’) sliders. How does this work: the part of your model that will be in fog will get blurred and part that is out of fog will be nice and sharp (in focus) when taking final render. To achieve dof effect on your final render you will have to transfer settings from Fog to Depth Cue. Next turn off Fog button and turn on Depth Cue button under Render palette ofc. To make the Depth Cue a bit better you should increase the anti aliasing size – this will smooth out the edges. And one more thing that you can do to improve the overall AA. All you have to do now is switch on best render option and render the final image. I found these brush through digital tutors. It’s good for making sharp grooves. A mix of displace and pinch. has a great section of brushes alphas and other tools all free to download.